If I find an author I like, and can’t wait for the next book – I look for the last book. Sarah Blake has only written two novels – 10 years apart. 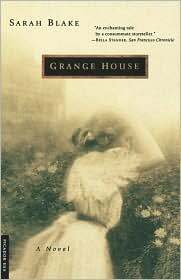 Better known for The Postmistress, her 2010 success, Blake’s first novel Grange House is more Victorian Gothic romance, channeling Brontë with references toJane Eyre, ghosts in the attic, drowning lovers, and a mysterious character who drives the story. The summer at Grange House in the late 1890s becomes the turning point in seventeen-year-old Maisie’s life. Blake convincingly uses the manners and the language of that time to create what appears, at first, to be a summer idyll in Maine, with walks in the woods, ocean views, and a young girl spending the summer with her family. Determined not to be “directed straight into marriage,” Maisie resists her parents’ plotting; other possibilities tempt her. The mysterious Miss Grange teases Maisie with stories that are “not fiction – not true,” and challenges her to abandon convention and write her own life story. Miss Grange, spinster and author, who lives on the top floor of the old hotel, holds secrets about Maisie, her father, and her heritage that threaten to change her world. Up to this point Blake cleverly integrates mysterious characters and sustains the intrigue by never revealing all. Who really were those lovers who drowned? Who is buried in the lone grave? Why does Maisie’s mother change her mind from protecting her daughter from a likely husband? What ghosts roam about? What will happen next? Blake returns to her story with more revelations in “Volume III,” and recaptures the pace. Suddenly, the action speeds up with Maisie refocusing on the mysteries and reexamining her power in determining her own future. Of course, the handsome knave who professes his love helps, but all is not what it seems, and Blake turns the narrative again, keeping the reader off balance. The ending is a surprise. Be sure to note the date. Grange House is a “delicious read,” full of nuances and mystery – a book to be read by the fire or on the beach, forgetting the rest of world. If you like Brontë, you won’t be disappointed in Blake’s book – her first. I found the perfect exercise program with a vook – the digital video book. 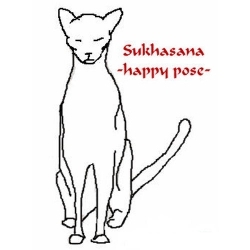 After reading about this newest phenom substitute for real books in the New York Times, I tried to download the iphone app for Yoga in Bed: Awaken Body, Mind, and Spirit in 15 Minutes. I kept getting one of those messages – not as bad as the old “you have performed an illegal operation,” but close. Maybe my chakras were not in order? So, next I tried downloading (as directed) on my computer. At the website, I watched a short trailer that looked promising, with instructions for downloading to iphone, ibook, or kindle, at varying degrees of cost. 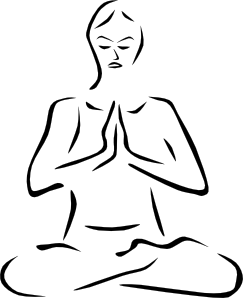 Downloading the 15 minute vook took longer than 15 minutes – time to do some deep breathing and practice patience. My favorite section is “Nap Your Way to Nirvana” – I may already be ahead on that one. I finished reading the book; still downloading the vook.